We hope that everyone had a great Thanksgiving! Whether you traveled somewhere or stayed home, hopefully your holiday was filled with fun family visits, good food and a bit of downtime. Its crazy to think that the calendar has now turned to December and we’re just a few weeks from winter break and the holidays! By the time camp starts, the new shower area will see a total of 14 showers. Those showers will be fed by new tankless water heaters which will ensure enough hot water for all of our Junior and Intermediate campers and staff. 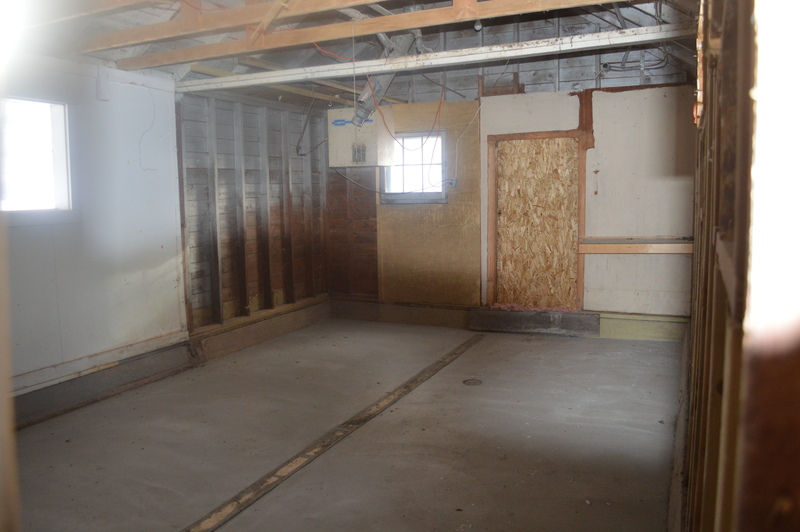 New dividers, walls and an epoxy floor will make the washhouse look great! We’ll also be adding more sinks to the washhouse and freshen up the walls! Once camp ended, the building’s interior was gutted. Tom, working with his brother-in-law Art, then moved the counselor quarters from the ends of the building to the middle of the building. 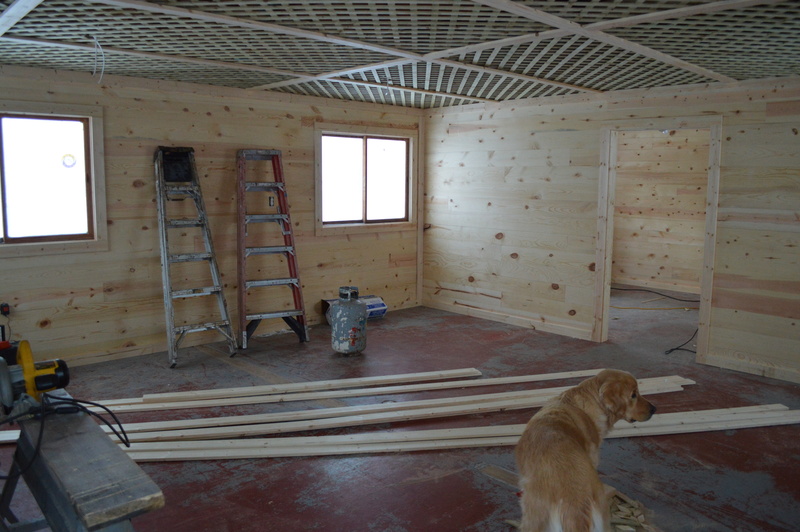 The finished project will mean that the camper quarters are bigger, with the cabin configured much like the J-4/J-5 cabin is.Tom and Art finished this project while we were at camp and the cabins looked great! Over the years, our I-Village cabins received lots of TLC, with work done both on the interior and exteriors of the cabins. I-1 was one cabin that didn’t receive an overall renovation. I-1 is a log cabin and is a really neat building with lots of character. 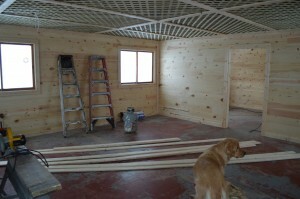 While the logs will stay and the outside will maintain that character, the inside will receive new, knotty pine walls. This project will have some fun challenges for Tom and Art as they create a flush surface for the new walls. This entry was posted in Uncategorized on December 2, 2014 by Dan Lichtenstein.